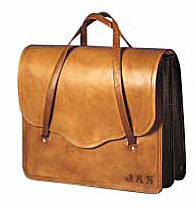 Made to last a lifetime, our distinctive custom leather briefcases and laptop cases are functional as well as beautiful. 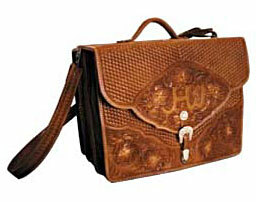 Ideal for the business man or woman on the go, and as special gifts for corporate executives. Hand tooling and hand stamping is combined with initials, brands, logos and sterling silver to fit your specific case or laptop dimensions. 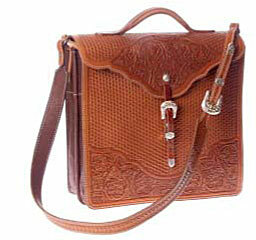 Inside lining and compartments are made of smooth, soft leather. 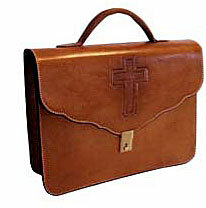 Custom leather briefcases and laptop cases can be padded for extra protection. Plain leather cases also available.